Is the new extension of martial law really necessary? New jitters are running down our collective spine because Cabinet members again refuse to speak as one on the subject of the newly-minted extension of martial law in Mindanao. This after Defense Secretary Delfin Lorenzana used the word “eradication” referring to how the government plans to address remnants of terrorist groups in Mindanao when asked about the latest extension. Presidential spokesperson Salvador Panelo issued a separate statement saying the continuation of martial law is seen as a means to address “the persistent rebellion…and (promote) overall security and peace and order” in the south. We’ve said it before. There is something amiss when Cabinet officials fail to speak with one voice. Could be that there is something known to one but not to another. Like real motives, perhaps? We also question the timing of the extension. It was approved merely hours after the House of Representatives passed its version of the shift to a federalist form of government on third and final reading. 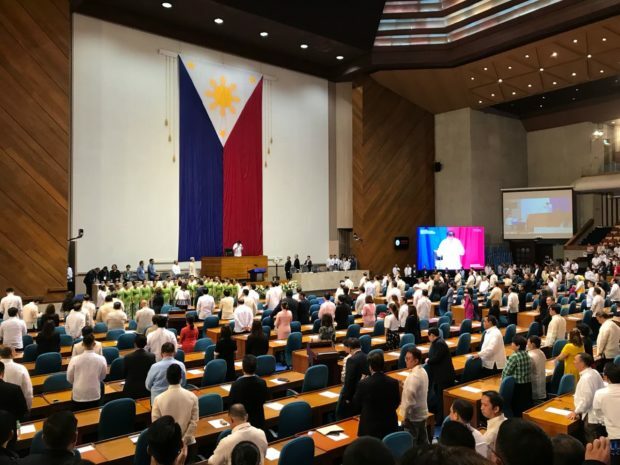 Still, the two chambers of Congress voted separately to acquiesce to President Duterte’s request for a one-year extension of martial law in Mindanao, as well as the suspension of the writ of habeas corpus. Recall that the imposition of martial law right after the Maute Group overtook Marawi City in Mindanao in mid-May 2017 already rang alarm bells among human rights observers. Critics said the first time Malacañang convinced Congress to extend President Duterte’s declaration of martial law in Mindanao was already a long shot. It was not necessary since the conflict was localized only in Marawi. This new extension means the whole of Mindanao will remain under martial law until December 31, 2019. The island will be under martial law when the mid-term elections takes place on May 13. While we do not dismiss the fears brought about by the continued presence of terrorist groups in Mindanao and the possibility of a new attack, we also urge Malacañang to take a look at the real and more urgent problems besetting the region. The persistent problems are economic, Mr. President. People in Mindanao are hungry, need jobs, and have children who want to go to school but cannot. Davao Oriental Rep. Mayo Almario said it best when he said it is actually poverty that drives young people in Mindanao to join rebel groups. “The solution is real development,” he insisted before voting “no” to martial law extension. Anakpawis party-list Rep. Ariel Casilao pointed out that 155 cases of human rights violations have been filed before the Commission on Human Rights so far, ever since martial law was declared in Mindanao more than one-and-a-half years ago. Gabriela party-list Rep. Arlene Brosas foresees more human rights violations as reports of abuses committed by soldiers and policemen, especially against lumad tribes, reach Manila regularly. 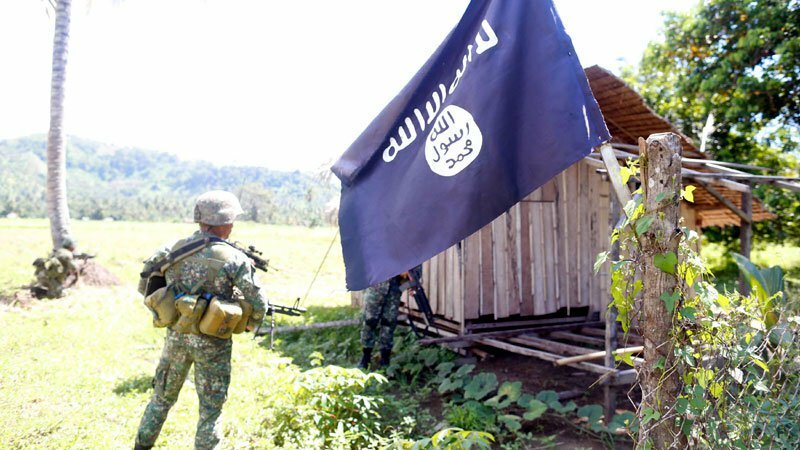 Among senators, Sen. Bam Aquino noted that the Maute Group responsible for sowing terror in Marawi has already been defeated by government forces. So why a third extension? Besides, Aquino added, economic rehabilitation and good governance are the most sensible solutions and they do not require the imposition of martial law. Senate minority leader Franklin Drilon insisted the original martial law declaration was “premised on the Marawi siege” and there is currently “no actual armed uprising” to justify the extension. He added martial law should be considered “the highest form of self-preservation” and cannot be treated as “the norm” in addressing the country’s problems. Majority of Congress refused to heed the warnings and went on to vote for the extension anyway. 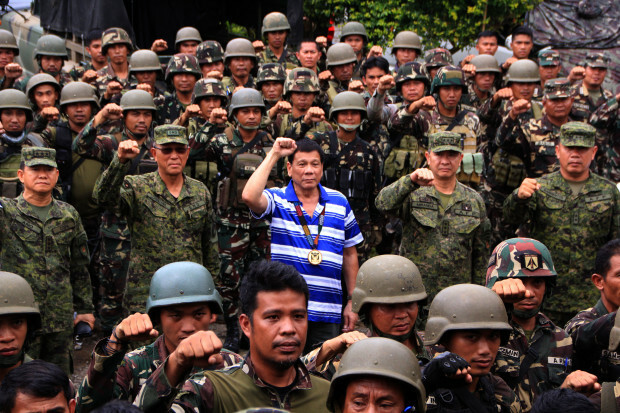 Has martial law brought progress, Mr. President? So we ask, has Mindanao benefitted from the previous martial law declarations that Congress had to disrupt its deliberations on the proposed 2019 budget (honestly the more urgent item in the legislative agenda) to issue a new extension? If the original terrorist group responsible for the original declaration had already been controlled, why is the extension still necessary? The “request” to extend martial law strikes us as whimsical. There is no concrete measure of its success in Mindanao. As those opposed to martial law repeatedly said before the vote, it is unnecessary and it is even used as an excuse to commit abuses. The President and his men are clearly ignoring the lessons of martial law under Ferdinand Marcos. Unfortunately, the extension also indicates how legislative leaders would rather give in to President Duterte and sacrifice time meant for real work instead of doing what taxpayers pay them for. It goes without saying those in Congress who are close to the President or expect favors from him, voted in favor of martial law confident of its benefits to their political careers. And of course, we suspect there are things they still do not want us to know.